These beautifully made beads from the torch of Catherine Howard are works of art with lively colors splashed with silver and fine black stringer glass. 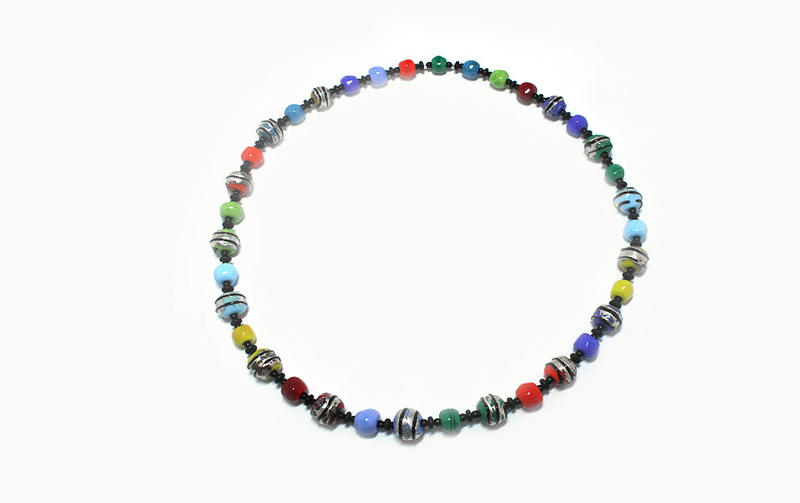 This is a necklace that will go with almost every solid color in your closet! Length is 29.75 inches.